In 1953, three Palmer students were challenged to supply equipment to a chiropractic mission in Ethiopia. From that beginning as a small campus project, the Christian Chiropractors Association emerged. Despite adversity and bias against the profession, men and women have prevailed in their goal to take chiropractic throughout the world and bring healing to the body and a knowledge of Christ to seeking hearts. 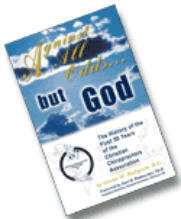 Dr. Glenn Hultgren, one of those students, has written "Against All Odds...But God", which details the history of the first 50 years of the CCA. To obtain a copy, use the order form by clicking the “order tab” or contact the home office by phone at 1-800-999-1970. We request a small donation to cover the cost and mailing. 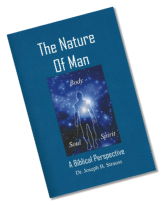 CCA member Dr. Joseph Strauss of Levittown, PA, has published a new book entitled, The Nature of Man. How do the body, soul, and spirit inter-relate? How does each affect the other? Why do science and theology appear to be at odds? Why is there so much disagreement among theologians? Dr. Strauss has written a clear, easily understood text for both the lay person and the serious student of the Word in order to shed light on these questions. His answers to issues that divide the Christian community and confuse the scientific community will bring new understanding to the reader. Dr. Strauss is making a special offer for CCA members. 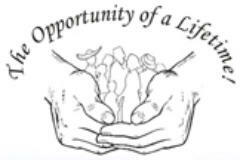 Call this toll free number 800.397.9722 and identify yourself as being part of our Association and ask for the book. His office will send a copy directly to you and cover the shipping and handling. All they ask is that a donation be made directly to the CCA. The suggested amount is $15.00. 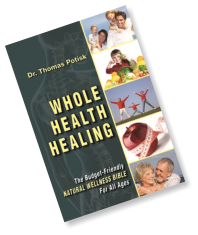 Whole Health Healing - The Budget-Friendly Natural Wellness Bible for All Ages. 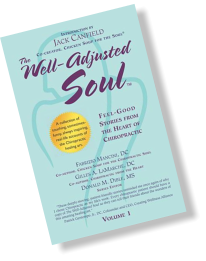 A holistic self-help book covering nutrition, exercise, posture, spirituality (Christianity), and of course chiropractic. 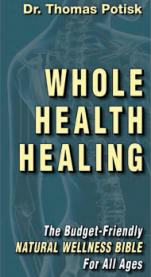 Dr. Potisk’s book can be ordered from his website at: www.wholehealthhealing.com The cost is $24.95 plus shipping. 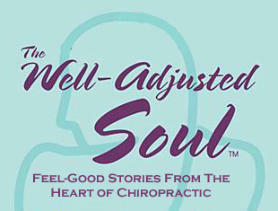 What Your Doctor Never Told You is the story of a teenager’s dramatic health experience that eventually led to a fulfilling, 36-year career as a Doctor of Chiropractic. 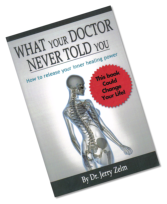 While caring for thousands of patients in the U.S. and abroad, Dr. Jerry Zelm witnessed countless injuries and health conditions that received incorrect medical diagnosis and treatment, but ultimately were helped with safe, natural and cost-effective chiropractic care, avoiding the side effects that often result from drugs and surgery. 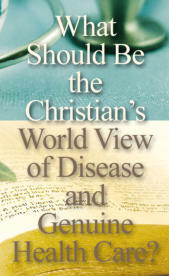 This book reveals: - How modern medicine often overlooks the true cause of your health problems. - The “missing link” to physical examinations. - How pharmaceutical corporations are controlling America’s health. 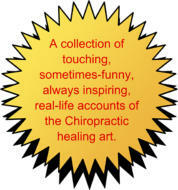 - Traditional myths and misconceptions about chiropractic care. 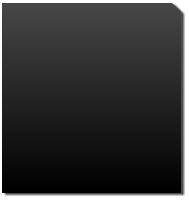 - Amazing recoveries from severe health problems - The “four facts” that can affect your health. Are you sick and tired of being sick and tired? Would you like to decrease your stress and increase your energy? Would you like to truly be healthy in your body, mind, and spirit? Would you like to know the truth? This book attempts to present the truth about health based on timeless principles and the latest scientific research. This book does not promise any easy, quick-fix solutions, just real, honest, and proven methods that you can use to be as healthy as possible. God has great things planned for your life, and using these principles will allow you to break free from fear, ignorance, and bad habits. 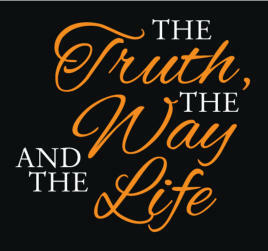 Knowing the truth and following the way of health sets you free to live the abundant life that you deserve. 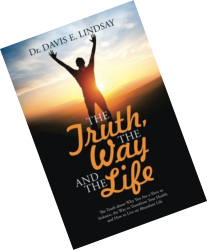 Dr. Davis Lindsay in British Columbia has written this book titled "The Truth, The Way And The Life". It is a book for patients that helps them to understand how to improve their health and that God is the ultimate Healer. He uses timeless principles from the Bible, modern research and chiropractic principles to show people the way to true spiritual, physical, mental and emotional health. simple, Because you don’t have time for it to be complicated. effective, Because you don’t want to waste valuable time, yours or theirs, being anything else. relational, Because relationships are eternal. Discover how to turn your best intentions into practical methods of achieving effectiveness in your missions program. selfless enough that the Holy Spirit would pour through our touch in the lives of the thousands of patients that we see? What if we lived and practiced in such a way that people with whom we’ve been entrusted are changed by their contact with us? Not just healthier spines, but new birth, complete healing at our touch, and renewed hunger for the things of God. As Christian chiropractors we are called to live at a level at which we stand out, inciting hunger in the souls of lost souls. No other profession on the planet has the access and opportunity that we do to touch and heal. To speak and be heard. To share and to plant seeds of hope in the good soil of hungry hearts. 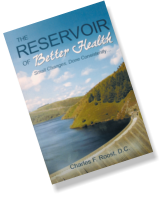 According to Dr. Roost, there are three key aspects to health and six basic ingredients to refilling the Reservoir of Health. Awareness of these concepts, and simple steps to maintain them, will result in people finding, fulfilling, and maximizing their purpose in life. Are you ready to invest in your health? Are you prepared to put in a little work in order to gain a better life? 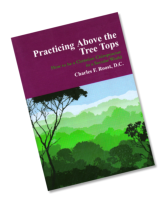 This book was written as a means to give patients tools to find improved health. Better health is available to every single person on this planet, and it is Dr. Roost's mission to help people experience it. Now at age 65 I continue in good health and am cancer free. The journey from those frightening days to my current wellness status is significant because I was treated using Alternative Methods. Christians believe a perfect and Sovereign God created this marvelous body. God designed it with the ability to heal itself. Today's mainstream health care culture is on a collision course with cancer, heart disease, diabetes and other degenerative diseases. All too often, quality of life suffers. The wisdom of this health care culture is on a no-win track. Have you unwittingly bought into this "no-win" system but now want to place more faith and confidence in God's powerful laws which have been untapped? To obtain a copy, use the order tab to the right or contact the home office by phone at 1-800-999-1970. We request a small donation to cover the cost and mailing. 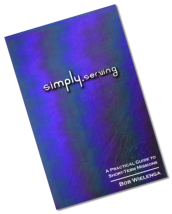 • Great guide for group or personal one-on-one evangelization. • Not only for new Christians but for everyone. 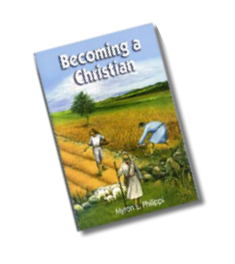 • Perfect for discipleship and spiritual growth of the believer. • Help for message planning and Sunday School class preparation. • There isn't another book so economical and at the same time so rich in its content. 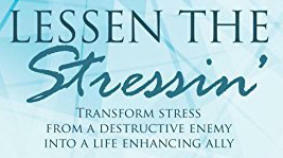 Lessen the Stressin’ is a practical handbook on how to transform stress from a destructive enemy into a life enhancing ally. Most of us will readily admit that we have stress. Some of us will even acknowledge that it is a significant factor in our health. Some of us claim that we have no stress - and base this on lack of feeling tense or ‘stressed out’. Research shows that stress is unavoidable. To understand this, we must come to grips with a definition of stress that is measurable and demonstrable. 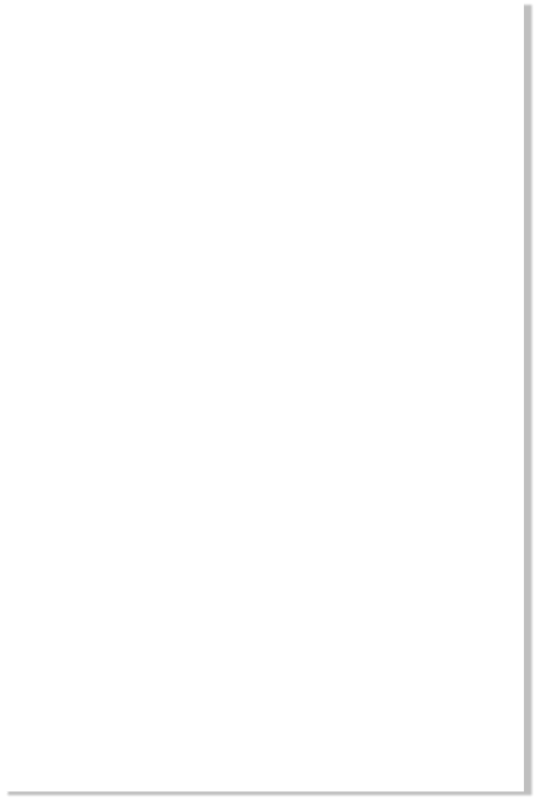 And that is what we do in this book. 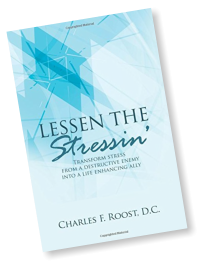 Because stress is everywhere, it pays for us to understand it better, and learn the practical steps that allow us to lower the stress load, and then deal with the “chemical soup” caused by stress. Join us a we wrestle the stress tiger to the ground, tame it, and make it work for us. Long-time CCA Member And Missionary Publishes Book: Dr. Larry Garman and his wife Addie were missionaries for the Church of the Nazarene from 1964-2011 in the country of Peru. They lived and served the Lord in the jungles of the Amazon, raising four children on the mission field, treating those who needed care, and sharing the love of Christ with the lost. Though technically "retired", they continue to travel back to South America for short periods of time to assist with ministries there. 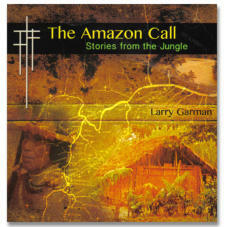 Dr. Garman wrote a book about their missionary life entitled "The Amazon Call". 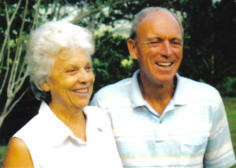 In the introduction, Dr. Garman wrote,"I hope you enjoy the many stories in The Amazon Call. They will take you on a journey to the majestic rain forest of the Amazon. You will meet the people who taught us a lot about ourselves. We truly became family with the people of the Amazon jungles. I trust that these stories will glorify the Lord Jesus who gave us the call, supplied our needs, protected us, and built His church just like He said would." Many of you may remember the Garmans from past conventions where they shared some of their experiences in Peru with us and were incredible story tellers. Anyone is interested in purchasing a copy of the book can email him at lgarman@hotmail.com. The book is $15.00 plus $3.00 postage.